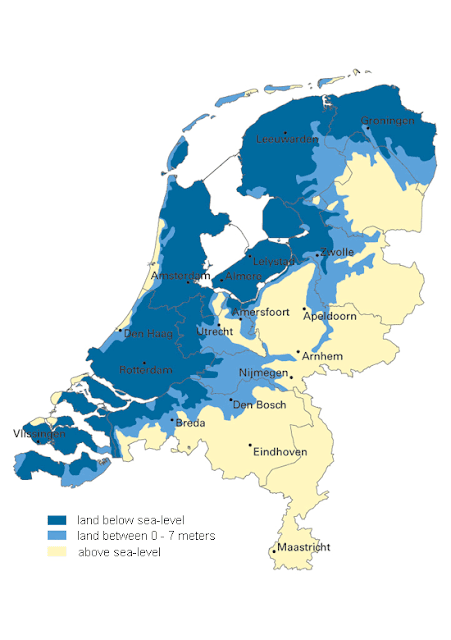 The Netherlands is a geographically low-lying country. About 27% of The Netherlands and 21% of its population located below sea level, and 50% of its land lying less than one metre above sea level. Most of the areas below sea level are man-made, caused by centuries of extensive and poorly controlled peat extraction, lowering the surface by several meters. Even in flooded areas peat extraction continued through turf dredging. From the late 16th century land reclamation started and large polder areas are now preserved through elaborate drainage systems with dikes, canals and pumping stations. 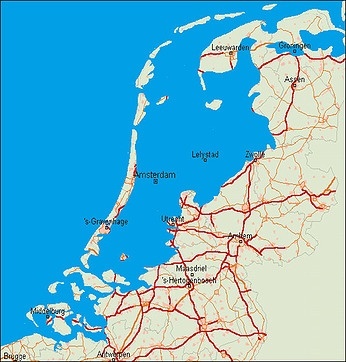 Much of the Netherlands is formed by the estuary of three important European rivers, which together with their distributaries form the Rhine-Meuse-Scheldt delta. 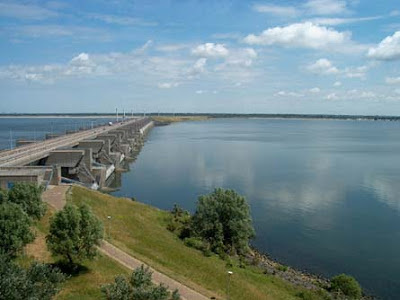 The Delta Works is a series of construction projects in the southwest of the Netherlands to protect a large area of land around the Rhine-Meuse-Scheldt delta from the sea. 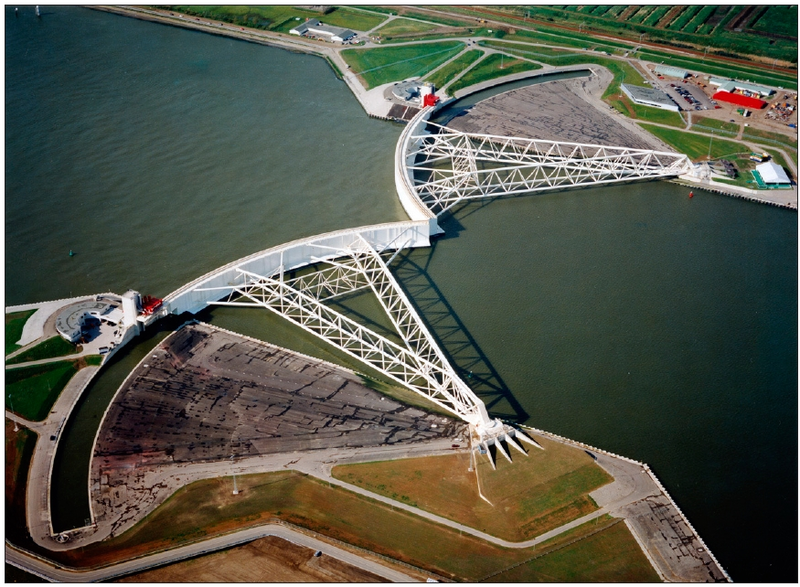 The Delta Works consist of dams, sluices, locks, dikes and storm surge barriers. A dam is a barrier that impounds water or underground streams. Dams generally serve the primary purpose of retaining water. 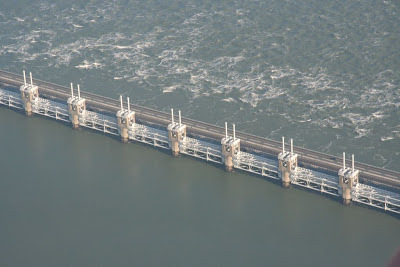 Example of a dam: The Haringvlietdam. A sluice (from the Dutch word "sluis") is a water channel controlled at its head by a gate. Sluice gates commonly control water levels and flow rates in rivers and canals. A sluice gate is traditionally a wood or metal barrier sliding in grooves that are set in the sides of the waterway. Example of a sluices: The sluices of the Eastern Scheldt storm surge barrier. A lock is a device for raising and lowering boats between stretches of water of different levels on river and canal waterways. 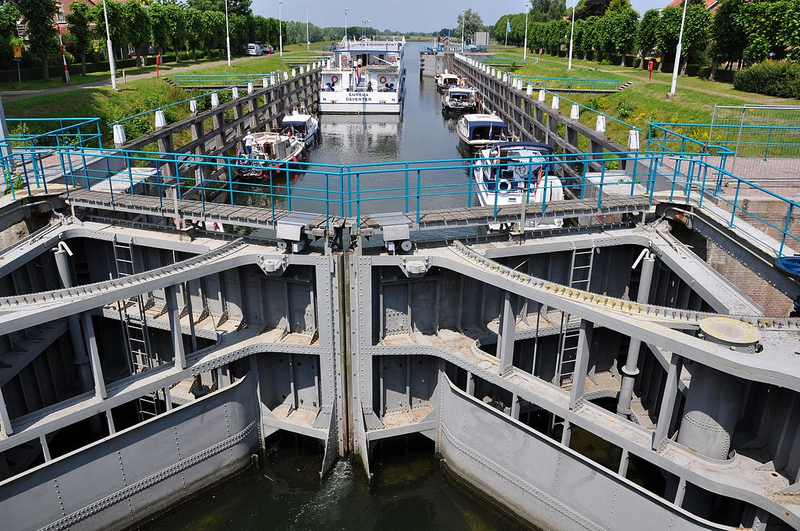 The distinguishing feature of a lock is a fixed chamber in which the water level can be varied; whereas in a caisson lock, a boat lift, or on a canal inclined plane, it is the chamber itself (usually then called a caisson) that rises and falls. Locks are used to make a river more easily navigable, or to allow a canal to take a reasonably direct line across land that is not level. 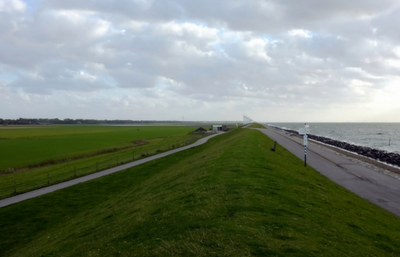 The modern word dike or dyke most likely derives from the Dutch word "dijk". Dyke or dike may refer to: a natural or artificial slope or wall to regulate water levels. A dike is called levee in American English. 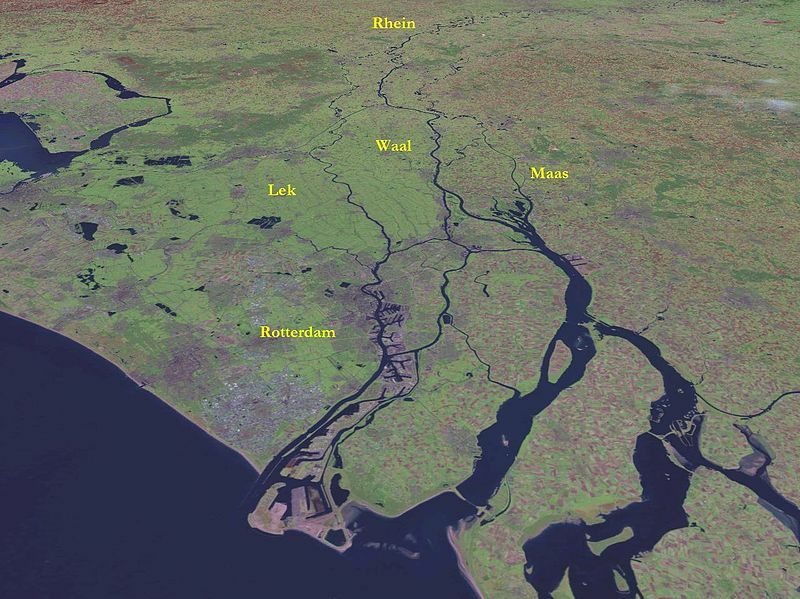 A dike / levee is an elongated naturally occurring ridge or artificially constructed fill or wall, which regulates water levels. It is usually earthen and often parallel to the course of a river in its floodplain or along low-lying coastlines. 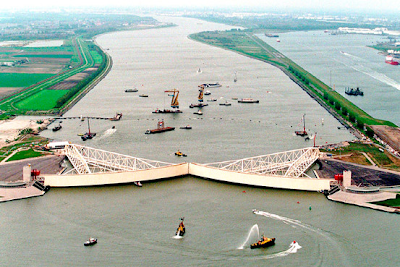 A storm surge barrier is designed to protect the Netherlands from flooding. The aim of the storm surge barriers is to shorten the Dutch coastline, therefore reducing the number of dikes that had to be raised. 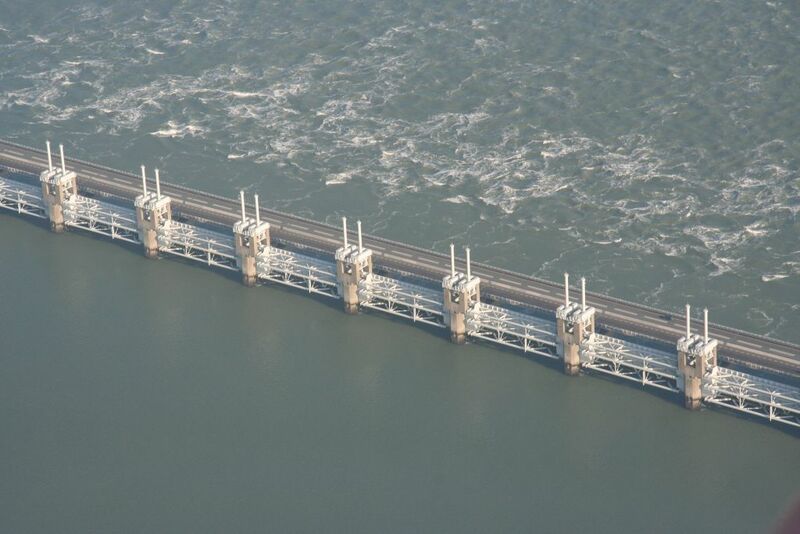 The Eastern Scheldt storm surge barrier (de Oosterscheldekering), between the islands Schouwen-Duiveland and Noord-Beveland, is the largest of the 13 Delta works series of dams, designed to protect the Netherlands from flooding. The construction of the Delta Works was in response to the Flood of 1953. 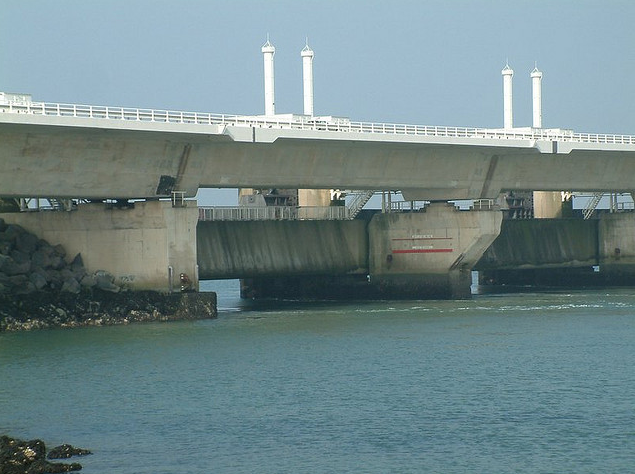 The Oosterscheldekering was initially designed, as a closed dam, but after public protest huge sluice-gate-type doors were installed. Thesesluice-gate-doors are normally open, but can be closed under adverse weather conditions. In this way the saltwater marine life behind the dam is preserved and fishing can continue, while the land behind the dam is safe from the water. The "Maeslantkering" is the final protection work of the Deltaworks. 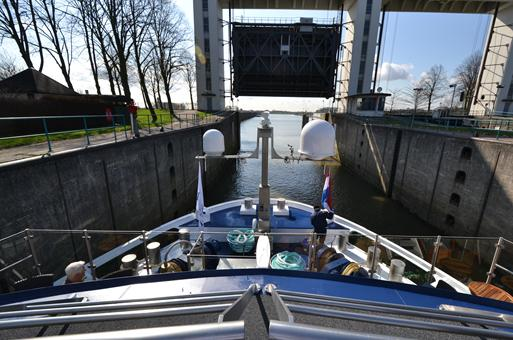 Situated in the main access channel of the Port of Rotterdam it is usually in open condition. It has been designed to withstand a severe storm occurring once every 50 years. 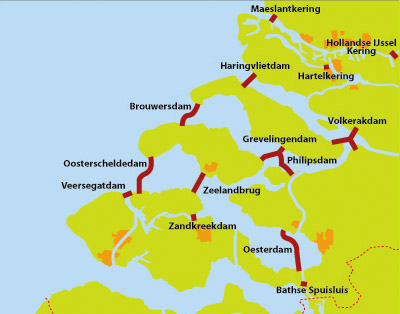 The aim of the dams, sluices, and storm surge barriers was to shorten the Dutch coastline, therefore reducing the number of dikes that had to be raised.